Image copyright © Laryl Hancock All Rights Reserved. Unauthorized copying or use is strictly prohibited. 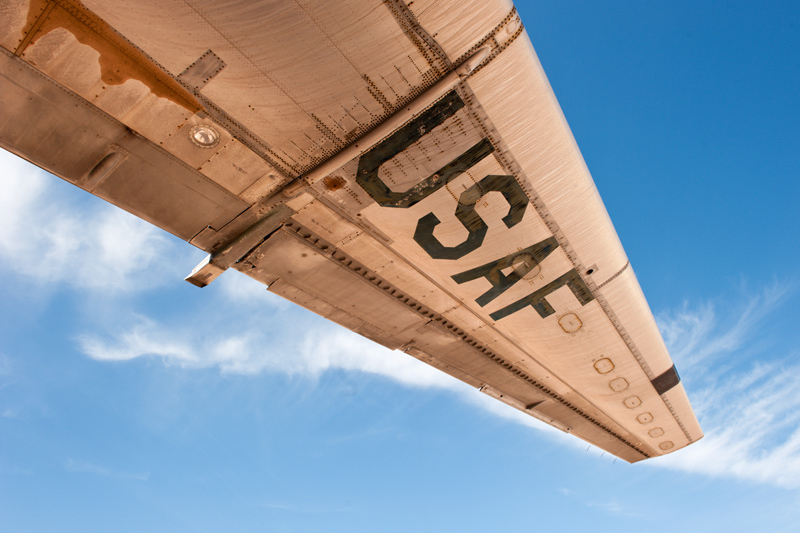 taken at Pima Air Museum, the strong sunlight bounced back up from the reddish dirt to create the warm color under the wing. Nicely captured, Laryl. Thanks for the description, the deatails are excellent! Congrats! Terrific POV with a good backdrop of the sky and clouds captured with wonderful details! Congratulations on your win today! Wonderful perspective and great clarity Laryl. Congrats on POTD! Page generated in 00.0880 seconds.